The expanding role of pharmacy technicians gives pharmacists the freedom to practice to the full extent of their training. There is a wide variation in the functions of a pharmacy technician. The practice environment, pharmacist to technician ratio, training and experience, regulations set by pharmacy licensing bodies, and pharmacist’s views are just some factors that influence a technician’s role and responsibility. In their expanded role, technicians might enter medication orders into computerized databases, check the work of other technicians, manage drug distribution functions, handle investigational medications, and support pharmacists in clinical operations. 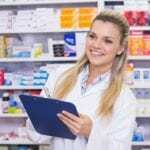 Pharmacy technician programs that are accredited by the American Society of Health-System Pharmacists (ASHP) include the theory and practical instruction that will prepare students for success on a national certification exam and will give them the confidence to accept additional responsibility. Whether they assume a traditional or expanded role, pharmacists must ensure that technicians are adequately trained and certified and check all outgoing preparations to ensure public safety. Also, the increase in responsibility typically prompts an expectation for an increase in remuneration. According to the United States Bureau of Statistics, pharmacy technicians earn an average of $30,920 annually. Technicians who assume additional responsibilities in the pharmacy may earn more. Thrifty White Pharmacy hosts a pharmacy technician program to grow their team. 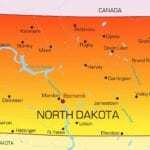 The program is ASHP/ACPE accredited so graduates can meet the registration requirements of the North Dakota Board of Pharmacy. The curriculum covers a total of 600 hours: 160 hours will be delivered online and the remaining 440 hours will be completed at the pharmacy as paid time. Interested persons must be willing to complete the program in nine months. Throughout the program, students will learn how to provide excellent customer service, present Ready Refill, HealthyPackRx, and Medication Synchronization and other Thrifty White programs, understand the requirements for Medicare Part B, and troubleshoot claims or billing issues. They also learn how to assist customers with Medicare Part D questions, maintain nursing home filling procedures, and receive and fill prescriptions. Candidates must be willing to become a certified pharmacy technician in the state of ND. The pharmacy technician program at NDSCS prepares students for a career where they will manage the technical and distributive functions in a pharmacy. Students will learn how to perform those duties that do not require the professional judgment of a pharmacist. The curriculum is delivered online giving students the opportunity to complete it from anywhere. Those who completed Army MOS and Army School training may receive academic credit for their skills and experiences. Course topics include customer service, general pathology, human structure and function, medical terminology, the science of success, medical terminology, college composition, ethics, and introduction to psychology. To complete the requirements for an Associate’s degree, students must complete an additional 14 General Education Electives, such as math courses, business courses, principles of nutrition, and history and literature courses.